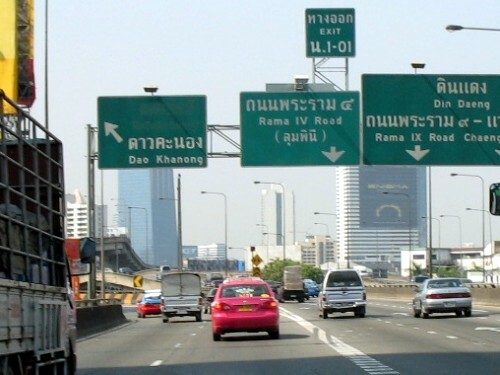 You can get out of Bangkok by Rama IX bridge, on the expressway that goes to Rama II road (road #35). 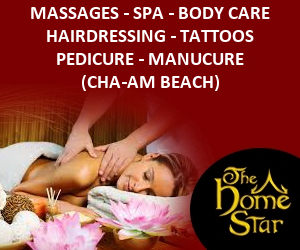 Of course you may choose another option, depending on where you live. 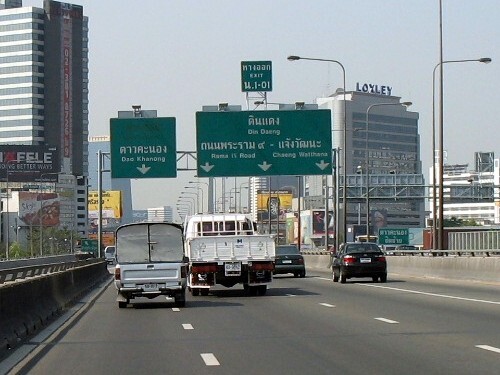 If you live on Silom, for instance, King Taksin bridge looks like a more sensible option. 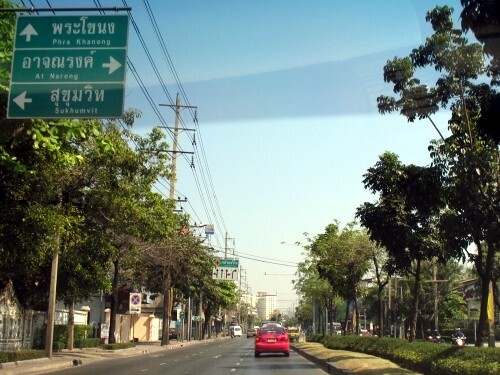 To reach Rama IX bridge if you live on eastern Sukhumvit, you can turn on soi 40 (near BTS Thonglo). 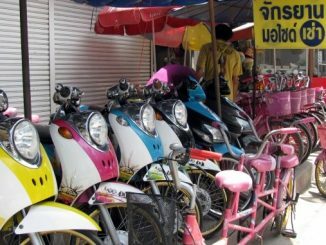 This is a good way to avoid traffic jam on Sukhumvit, as you go East and the traffic is usually heavier when going West. 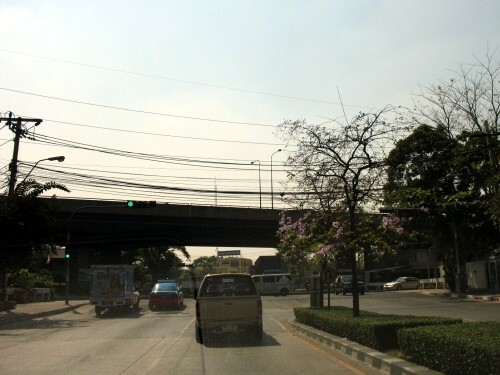 At the end of soi 40 turn left on Rama IV, then immediately right (to At Narong). 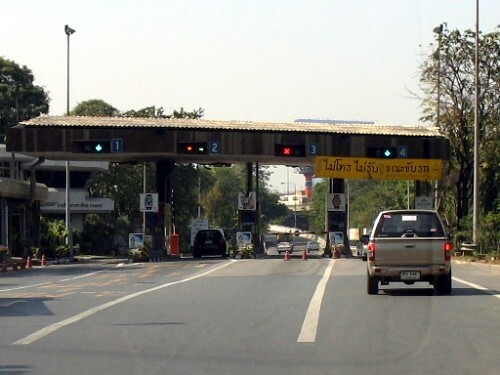 Then straight, then right at the end of the road, and you will find the expressway entrance on the left. 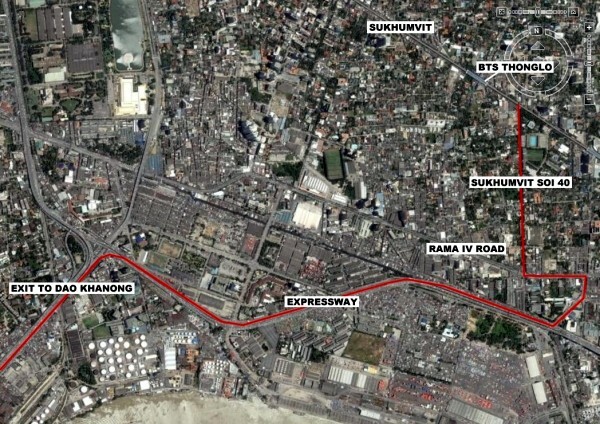 Of course there are other entrances that may be closer to where you live, this is just an example. 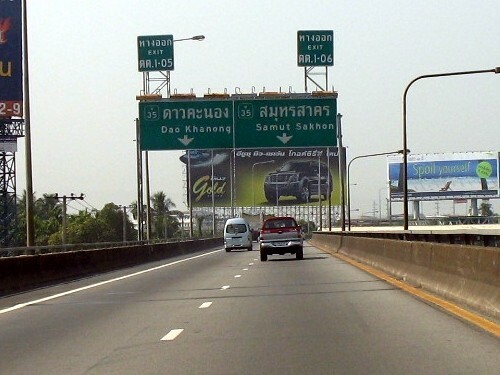 On the expressway, exit at Dao Khanong, then follow Dao Khanong until you pass Rama IX bridge. 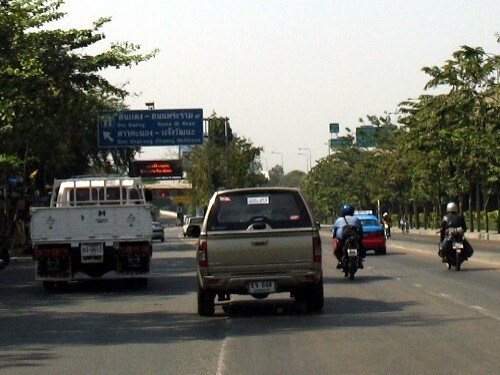 Follow Dao Khanong just after the bridge, then follow Samut Sakhon to exit on Rama II road. 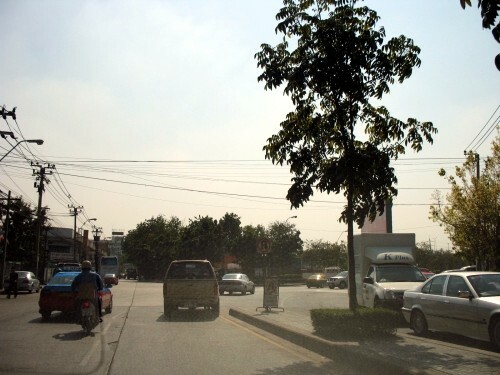 This is on Rama IV, when turning right to At Narong. 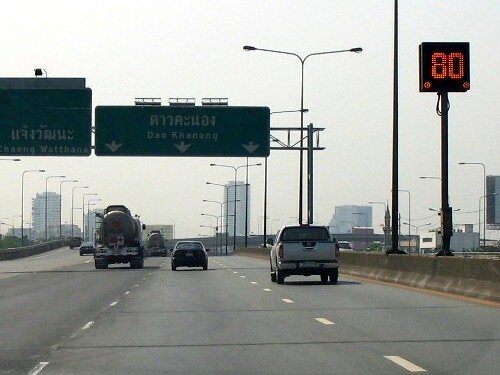 After having turned right, follow the road which turns slightly to the right. 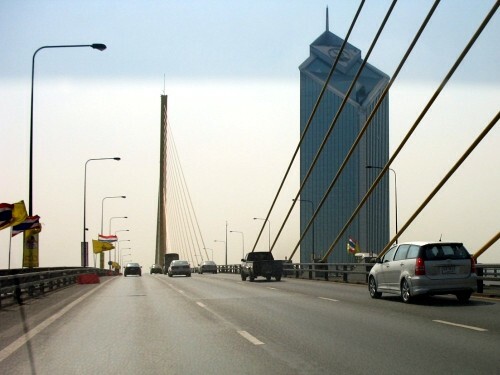 Pass under the bridge then turn right. 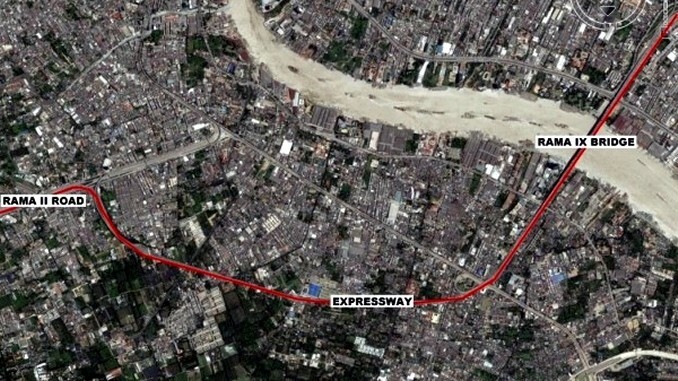 The entrance to the expressway is on your left. 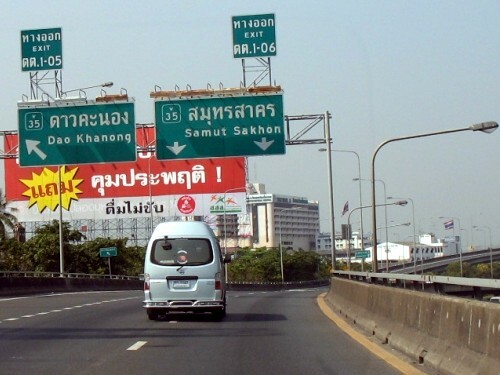 The direction you need to follow from now on is Dao Khanong. 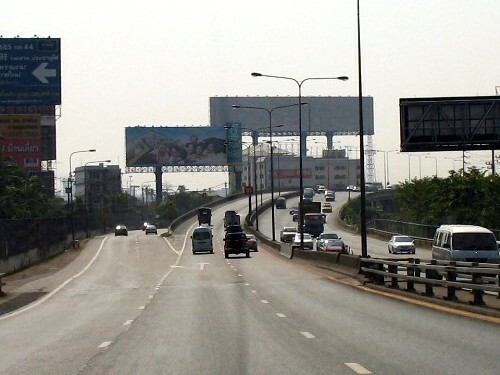 The expressway costs 50 baht. 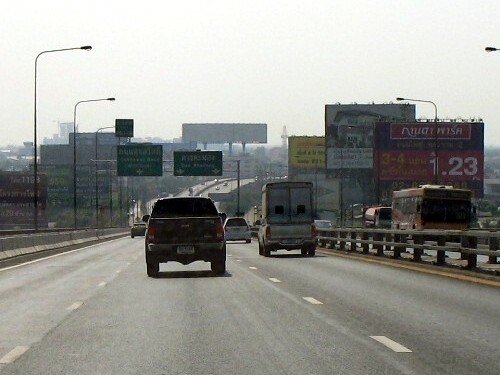 On the expressway, take the exit to Dao Khanong. 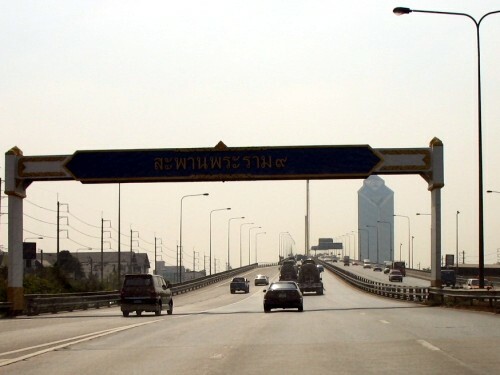 After the bridge, follow Dao Khanong one last time and take the flyover. 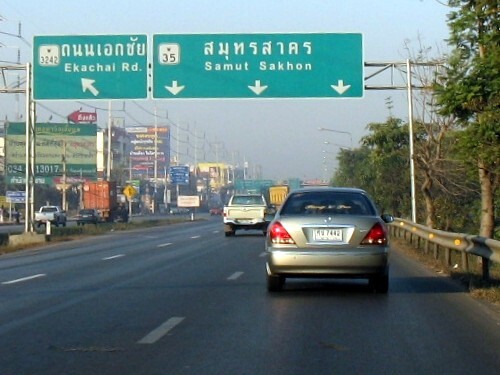 The next direction you have to follow is Samut Sakhon. 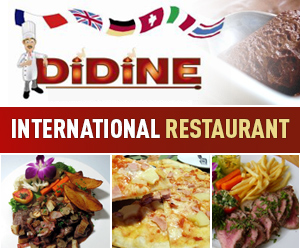 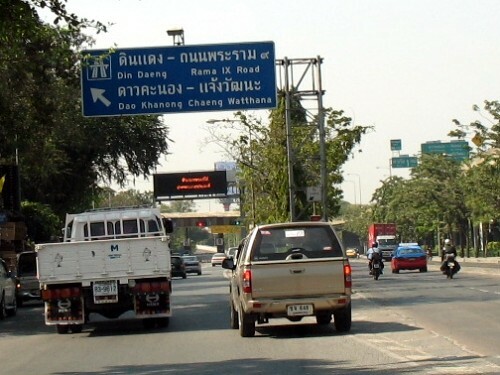 Leave Dao Khanong on your left and exit to road #35 (Rama II road) in the direction of Samut Sakhon. 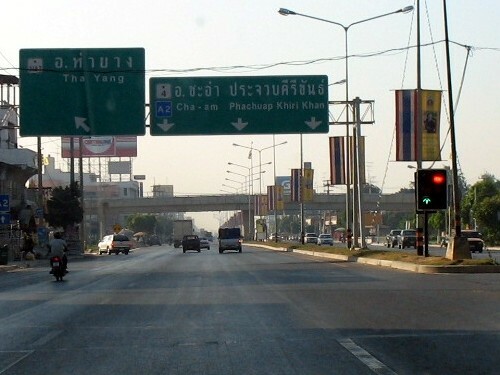 You are now on Rama II road, that you will follow for about 85 km. 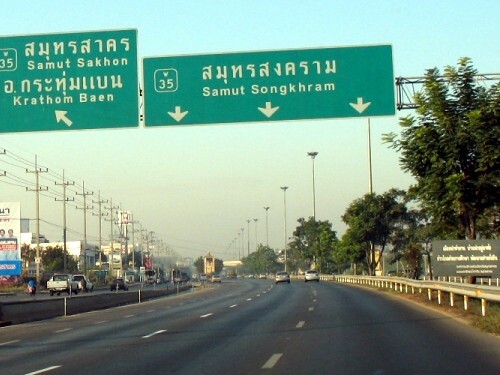 Follow Samut Sakhon, then leave Samut Sakhon on your left and follow Samut Songkhran. 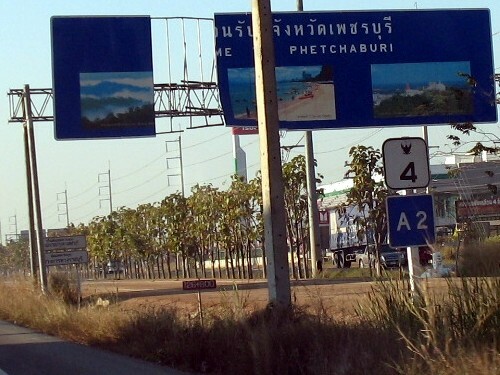 On Rama II you will see the first signs indicating Phetchaburi. 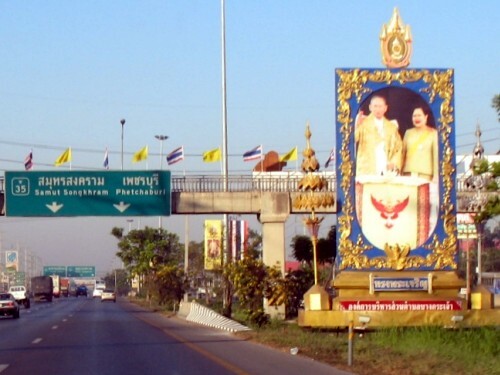 At the end of Rama II, the road divides in two: Phetchaburi on the left, and Ratchaburi on the right. 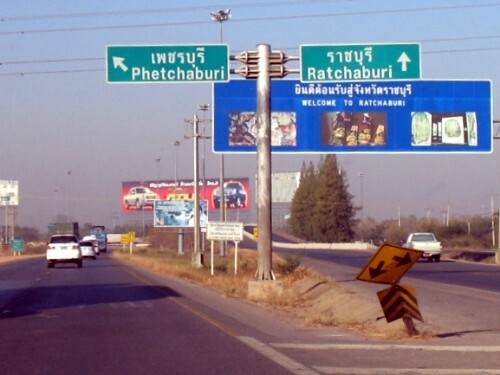 Make sure you exit on the left to Phetchaburi. 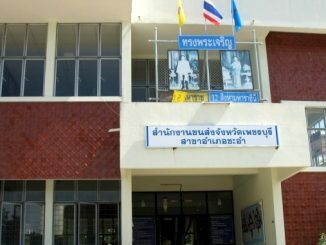 You are now on “Thanon Phetkasem”, as the Thais call it. 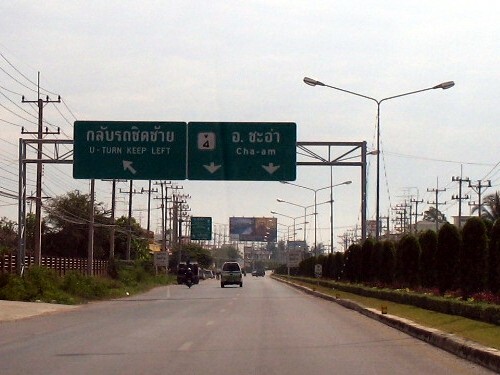 This is road #4, which goes down south, passing Cha-Am and Hua Hin. 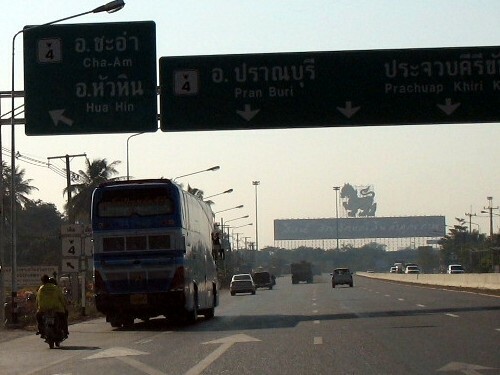 From now on just follow the road straight on, pass Phetchaburi, and follow the signs indicating Cha-am. 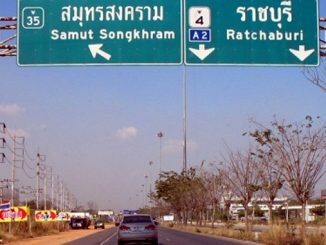 You have arrived at destination, exit left to Cha-Am. 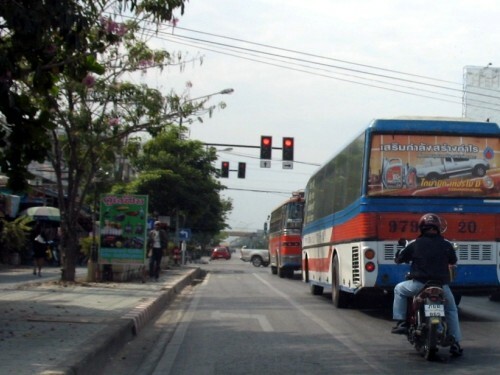 …Then turn left at the first traffic lights, when you see the sign that says “Cha-Am beach”.